On 23 March, NSW voters will go to the polls to elect a new Government, and at this election your vote WILL count and it may not only determine who will represent the electorate of Myall Lakes, but which Party will form Government and rule for the next four years. Indications are a handful of seats may determine which party is elected into forming government. The recent dramatic swings in two government held seats (Orange and Woollahra) are a very clear indication that people in notionally “safe” seats will no longer be taken for granted. A recent UCOMMS / ReachTell poll of over 1019 people taken across NSW on 7 March, published in the Sun Herald and reprinted in the Newcastle Herald shows Premier Gladys Berejiklian and her Coalition Government are in real trouble. The Coalition is behind Labor 51% to 49% on the two-party preferred basis and on a personal level Gladys Berejiklian is trailing Michael Daley 46.7% to 53.3% as the preferred Premier. According to UCOMMS / ReachTell the Coalition’s primary vote has dropped to 28.7% while Labor’s remains steady at 34.1%. The UCOMMS / ReachTell poll was very accurate in its predictions for the Victorian State Election last year forecasting a significant swing to Labor when most other pollsters were predicting a very close race. On a local level this election is looking more and more like a very close two horse race between the two term incumbent and National Party member, Stephen Bromhead and the Labor challenger, Local GP and long standing Councillor, Dr David Keegan. Over the course of the past two local elections Mr Bromhead’s margins have been slipping and what was once a blue ribbon National Party seat may now only require a relatively small swing of 8% to fall. Making things a little more interesting is that the number of registered voters has increased from 54,796 in 2015 to 57,562 for this year’s poll, an increase of 5%. Voter turnout make also be quite critical as traditionally in the Myall Lakes Electorate, 11% of the registered voters do not come out to vote. 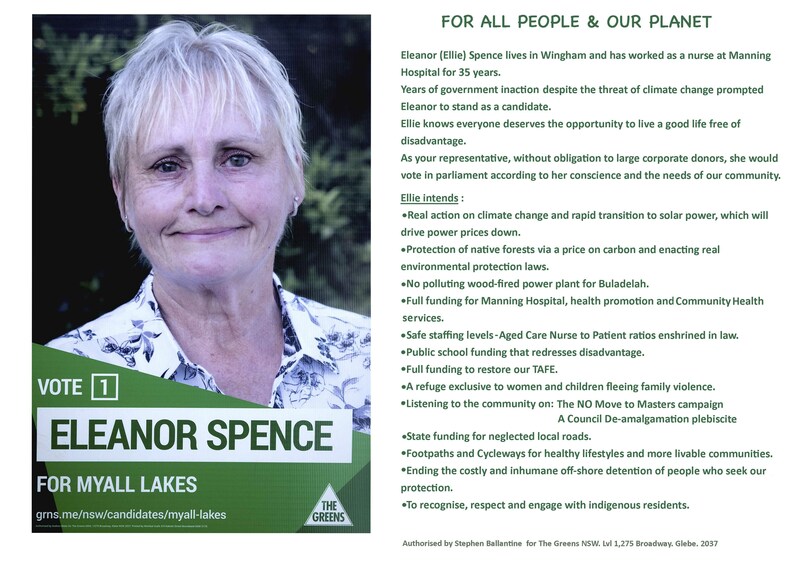 What will also play a key role in the Myall Lakes election will be the number of informal votes which have increased from 2.6% in 2011 to 3% in 2015. This is why our community needs to treat this election very seriously, not as an imposition, but rather the very real opportunity to influence and determine our future. For too long now, many Australians have NOT treated elections seriously, the approach has been that it is a painful chore that you need to get through, rather than consciously recognising that this our one and only chance, every four years, to elect the people who will determine the Laws and the Policies that will inevitably have a major impact on our lives and particularly as this State’s and indeed the nation’s population continues to grow, and governments will continue to intrude more and more upon our lives. So it’s not exactly rocket science that we should make the time to soberly review and consider who to vote for. Isn’t it also time to consider which candidate would actually make the best local representative; one with ethics and principles, who would advocate and work tirelessly for us, and not just show up to open events, or looks good on a glossy brochure (full of hype) or be a former sporting hero, or which colour or political brand) that they stand for; someone who will be a passionate advocate for not only the community but individuals within that community for the entire term of parliament? In recent State elections around Australia we have seen wild and unpredictable swings. This has been due in part to the fact that there has been widespread dissatisfaction with the Government of the day and the incumbent members, it is also an example of the political volatility as result of a real lack of confidence in both the political system and the people who stand for office. In past generations, our political system has been quite stable, perhaps to some extent due to the fact that many of our politicians (not all) were perceived as more honourable, dedicated and that they went in to politics to do public service and didn’t look on it as an opportunity to fast track a career and springboard into a Board Room, or as a CEO or senior executive of a major company as is the perception these days. We used to trust our politicians. We elected them, and then got on with our lives, and for as long as they left us alone we were happy to let them govern, but now, it’s very different. In this modern world with an eroding democracy, we need to play a greater part in the political process, we can’t just take them at their word, we need to stay vigilant, and we need to set our prior political preferences aside and genuinely review all the candidates; achievements in politics, as well as their track record of delivering for the community. Frankly it’s pointless voting for someone who seems like a good person, but has no track record of delivering anything to the community. It’s also futile to vote for someone that is not up to the task of being in the State Parliament. People in the city electorates have woken up to the fact that they need the best possible candidate that will actually deliver for their community and not just accept and follow the party dogma. Surely it’s time for us in regional centres to review our loyalty to political brands and confirm that they are delivering. At the end of the day, whichever party is elected into government, within that party there will be the performers and the achievers ; those who can deliver within the confines of a strategic structure. We need those who can cleverly, methodically and purposefully, weave a course to achieve the best possible outcomes for THEIR community. Let’s not be naïve nor ignorant, there is only one pie, and unfortunately not every one gets an equal slice, so it’s the ones who have the work ethic and energy, who are clever enough to understand how to navigate the system and find different routes and solutions, who can advocate and negotiate, who will be the ones to deliver the best possible outcomes for THEIR community. This is why people in the city have now learnt that blind brand loyalty to one party doesn’t pay. 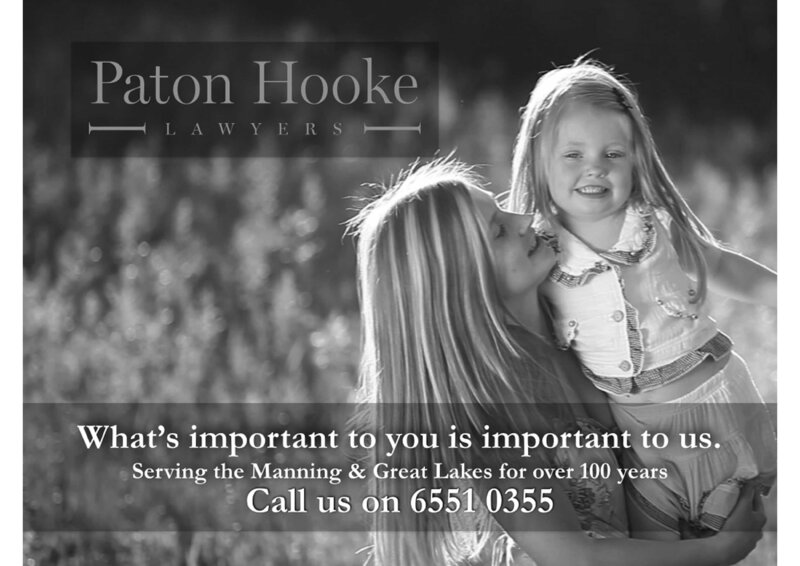 Prior to the election of the Baird Government in 2015, there was no mention of amalgamations. 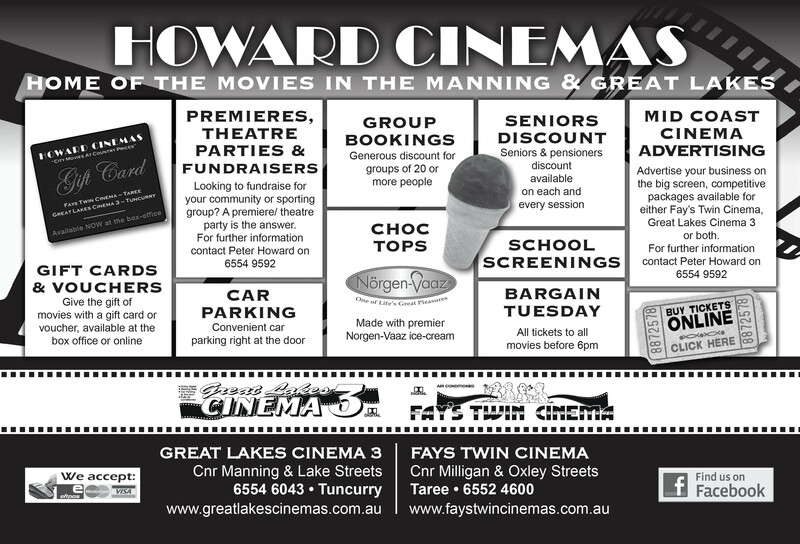 Former Greater Taree City Council, Mayor Paul Hogan frequently recounts that when it happened how: “Ministers and Members of Parliament instantly became inaccessible even to talk about the proposed mergers”. All the decisions and all the moves were being made way above Mr Bromhead’s standing, ie by Premier Mike Baird and Minister Paul Toole, however the question still remains: How hard did Mr Bromhead try to avert the merger? How well placed was Mr Bromhead in the system to influence outcomes? What followed was our rather unique SRV that was applied to our Council when some obscure Member of the Upper House, Paul Green from the Christian Democrats, (clearly set up) stood up at 10pm at night in Parliament and moved an amendment to the Act, that our Council should be exempt from Mike Baird’s promise to the ratepayers and residents of the amalgamated Council’s that there would not be an SRV for three years. Where was our local member then? He actually supported and voted for the SRV. Was the community consulted, were there any public forewarnings? A Member of the Government or In Opposition? A key question to ask is, do you want our local elected representative to be in the Government or to be in the Opposition or on the Cross benches? To some extent to answer this question requires you to do some research, to understand and predict realistically which party will win the overall election. Sometimes this can be relatively easy and other times a great deal more complex. Obviously in the present system that we have, the preferred option is to have your Local Member as part of the Government, as they have access to the Ministers and the money, and the Opposition Members and Cross benches have very limited scope, access and generally just get to whinge and complain with little result. The Coalition wins the State Election and Stephen Bromhead wins back his seat. – The status quo remains. Labor wins the State Election and Stephen Bromhead wins his seat. – Mr Bromhead goes into Opposition. Labor wins the State Election and Dr David Keegan is elected. 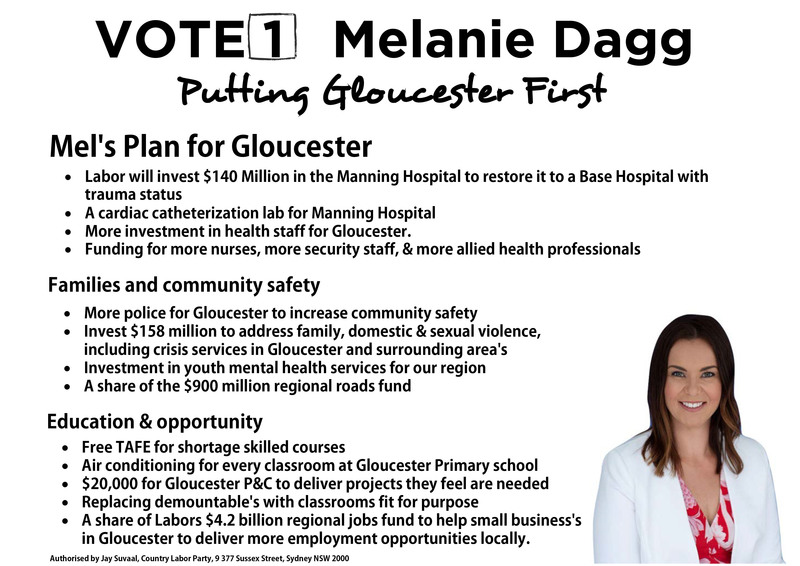 – Dr Keegan becomes the Local Member and then is in Government. 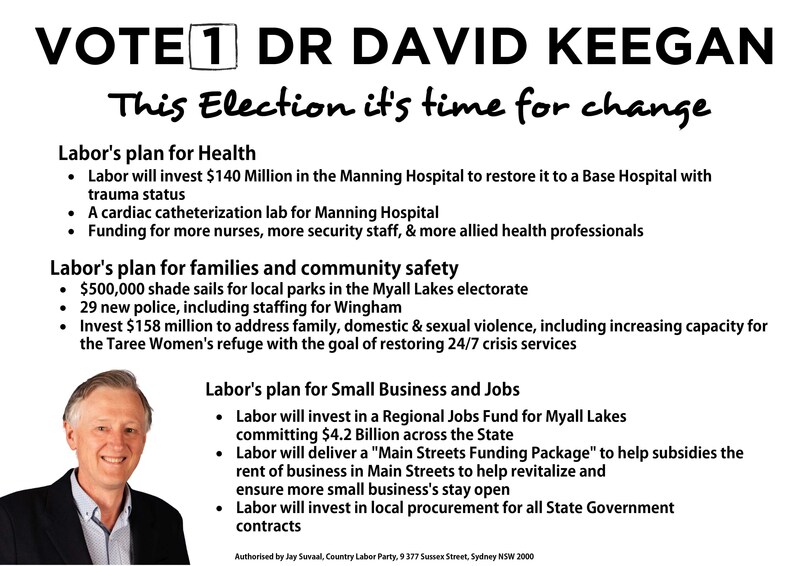 The Coalition wins the State Election and Dr David Keegan wins the seat of Myall Lakes – Dr Keegan then sits in Opposition. A hung Parliament – Although this has been touted by some, and whilst it may be close, we suspect that there will be an outright winner for this election. The first thing to consider is will your preferred candidate stay for the full term of four years and will he or she have the passion, the stamina and the fire in the belly to advocate and represent and work for you and our community for the entire term? Is that candidate principled, ethical and honourable? Are you comfortable speaking to the candidate, is this person amiable, approachable and responsive? Does the candidate talk down or patronise you? Does the candidate listen to you, respect and acknowledge your concerns rather than immediately launching into all the answers (usually based on Party policies or play book)? Does the candidate speaks with intelligence, experience and authority? Or give rote answers and pass the buck? Is the candidate articulate, yet able to communicate with people from all walks of life? Has the Candidate made many or any public speeches that you may have heard? Would you pay $10, to listen to this person speak? Would you happily have this person over for lunch or dinner at home? Would he/she even consider your invitation? Is the Candidate well mannered and respectful including to their opposition? Is the candidate easily accessible, make time to meet with you and talk to you, rather than just flick your concerns on to others to address and resolve? Does the Candidate have the confidence to achieve, confidence based on a solid track record of success, and not just mere bravado, who’d run at the first return volley. Does the candidate work hard in their current vocation, and is the candidate capable of working harder for you; passionately representing your interests as your advocate? Does the Candidate have the experience / qualifications to understand and work with higher levels of government, senior public officials, business leaders and community leaders? Is the Candidate capable of climbing into the Bearpit that is the NSW Parliament and coming out with new wins for our community? Not meekly slinking in with a begging bowl and waiting for our turn and eventually emerging with a few measly bucks which we were always going to get tossed our way in any case? Think about it before you just “rock up” !